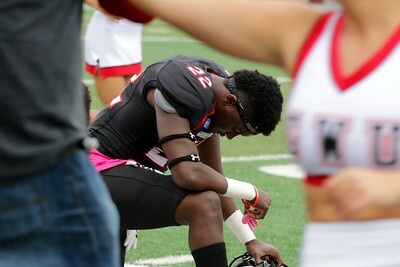 #22, Josh Carter, kneels to pray before the game. 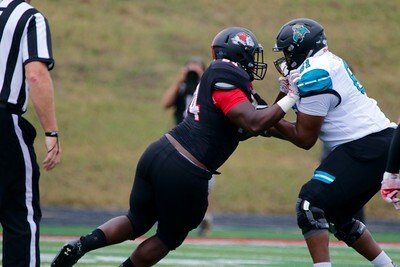 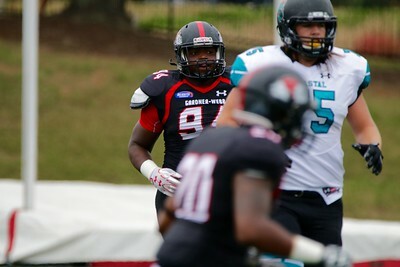 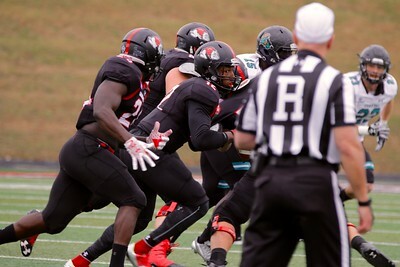 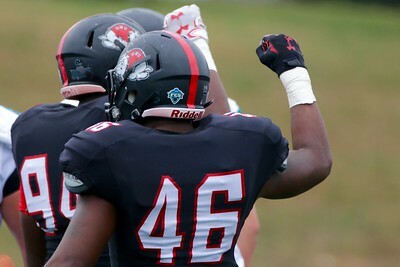 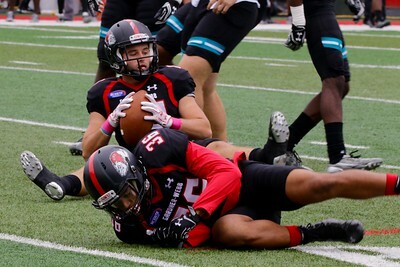 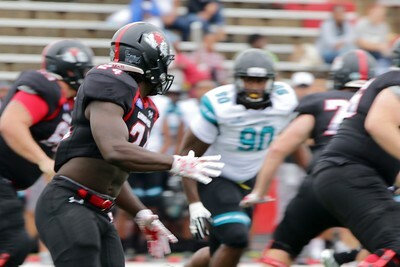 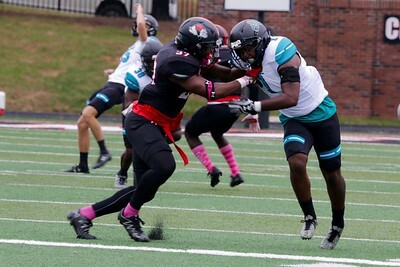 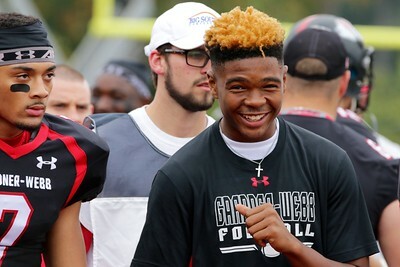 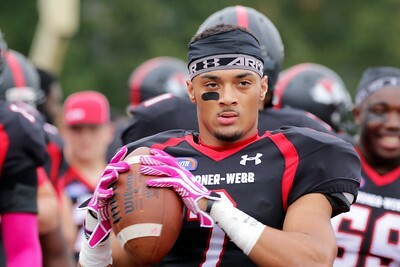 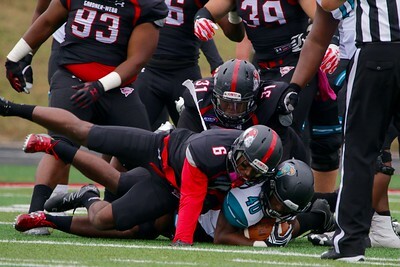 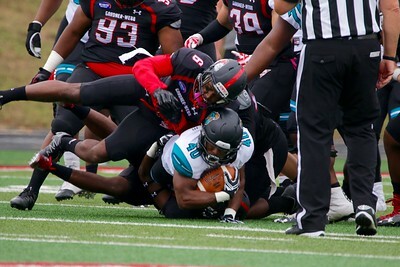 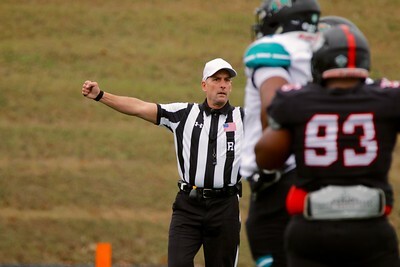 On Saturday at 1:30pm, Gardner-Webb played Coastal Carolina losing 7-17 in their Homecoming game. 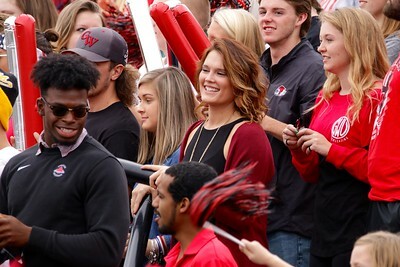 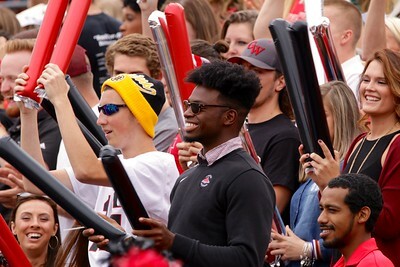 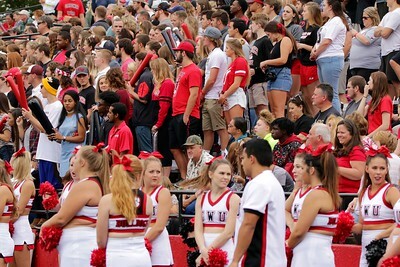 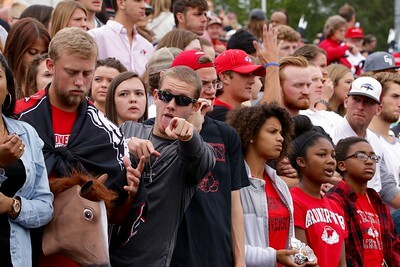 Students and people from the community filled the stands in support of the Runnin' Bulldogs. 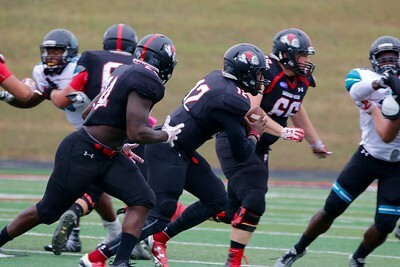 Players warm up before the game. 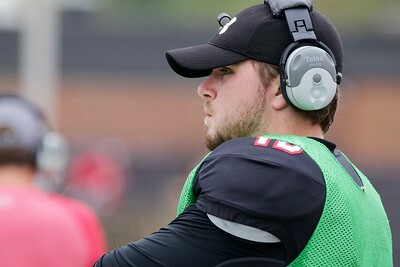 Chase Arrington watches and gives commands from the sidelines. 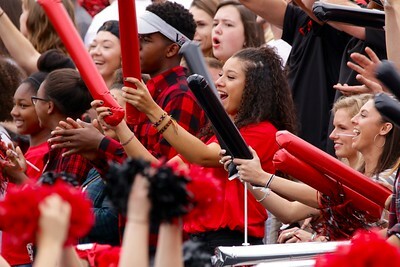 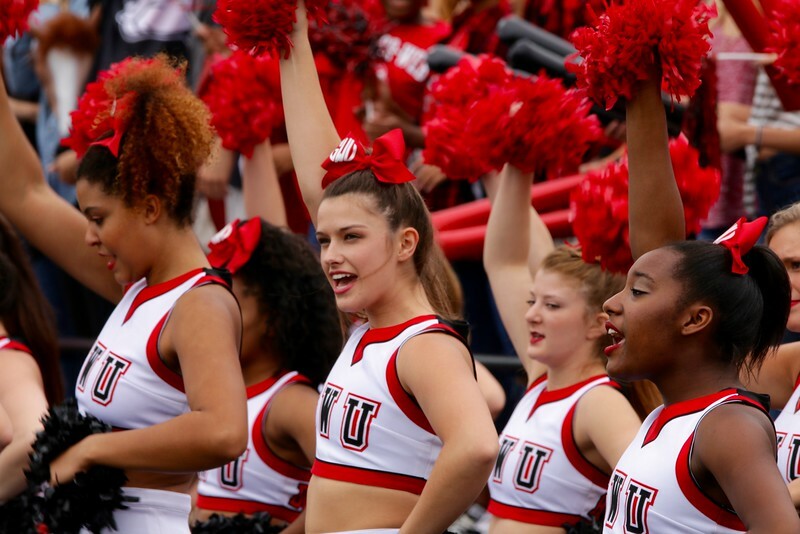 Gardner-Webb cheerleaders support their team on the side. 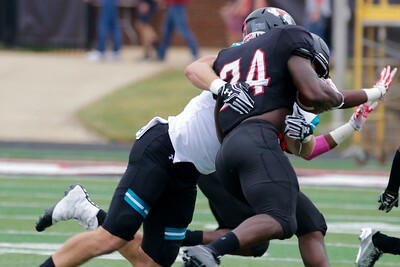 #24, Khalil Lewis, runs after the football. 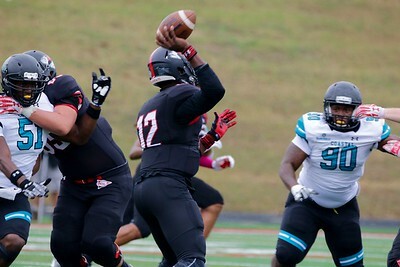 Quarterback, #12, Tyrell Maxwell, escapes with the ball. 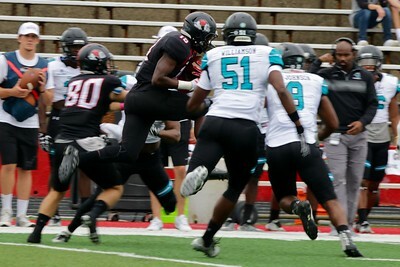 #12, Tyrell Maxwell, makes a play with the ball. 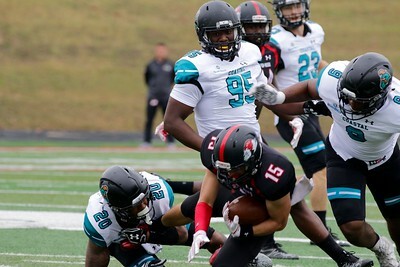 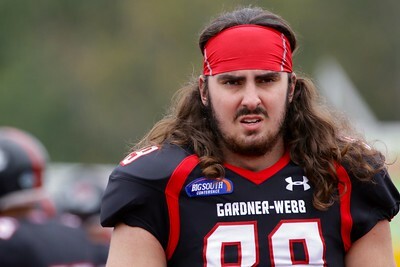 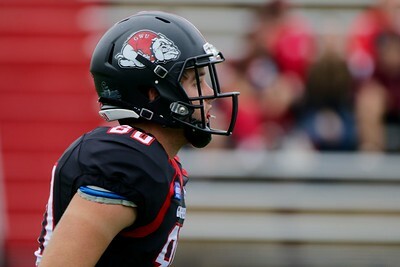 Gardner-Webb takes down Coastal Carolina. 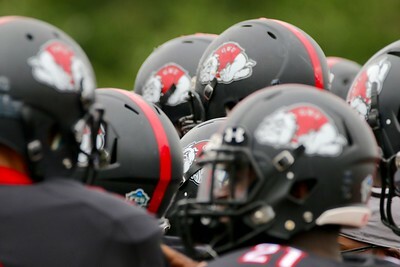 Gardner-Webb celebrates after making a good play.